Not buying one would be a cat-astrophe! Have you ever looked at your hand and wished it was a cat? You're in luck! 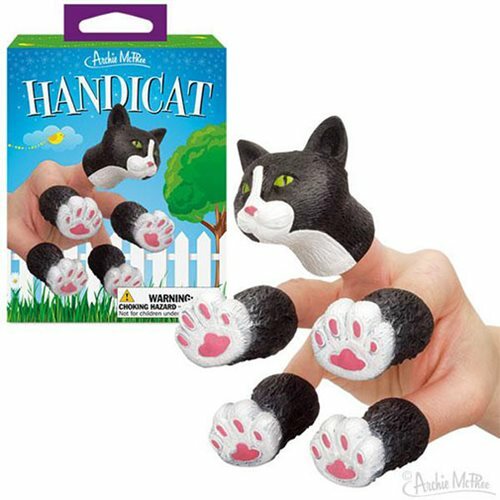 This Handicat soft vinyl finger puppet set can turn your hand into a pretty kitty. Each set of five includes four paws and one kitty noggin. The paws are 1 1/2-inches, and the head is 2-inches. You'll start purring every time you shake hands. Illustrated box.